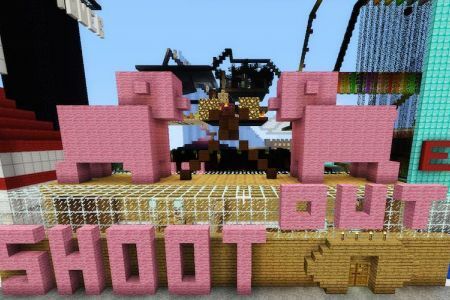 Minecraft Shootout is a fun game where 2 people challenge each other in a shootout to see who wins! It does require two players and it’s a race challenge. 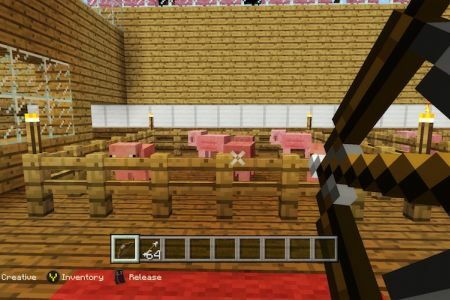 You start with the same amount of pigs in your pens, 64 arrows, one bow, and somebody to say “go!”. 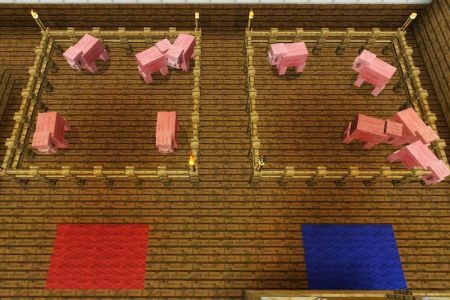 It’s then a race to see who can finish taking out all of their pigs first. 1. 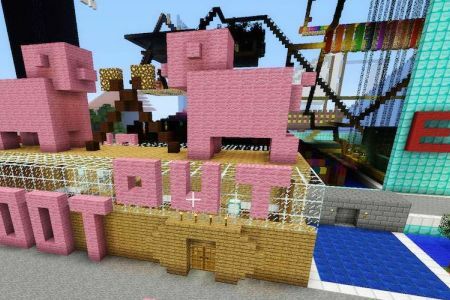 Spawn 4, 5, or more pigs in both pens. 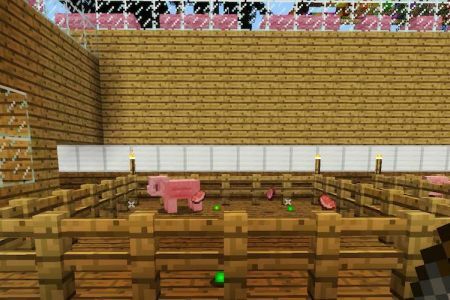 5. whoever kills all their pigs first, wins! Making this game is really easy. You just need to create 2 pen’s, can be any size you like but probably should be around 5x8. 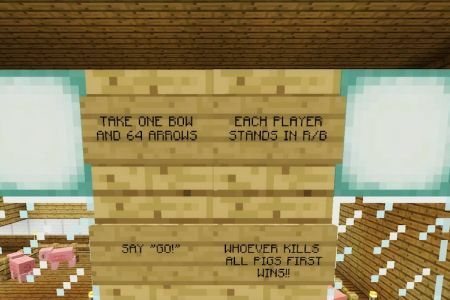 Make sure to make the pen’s identical, to keep things fair between each of the players game. You can vary where your red and blue rectangles are going to be placed, but make sure they are the same distance from your pens. Also, don’t place them to far because you want to reach pigs at the very back of your pen. Your players will stand on these squares so they should be identical, even if the block colour is not the same. The rest is really up to you! 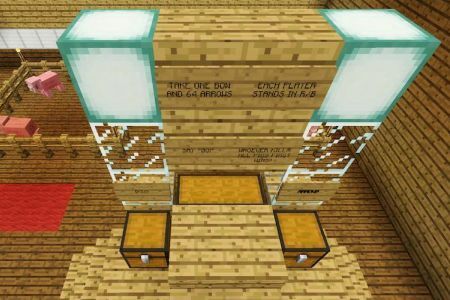 You’ll want to place a chest close by with the items for players to use. You might want to create signs explaining the rules as well. Its always nice to have this indoors but it does not have to be.